If the United States of America has to be in a position to reap more benefits of the global market, having an understanding on the importance of this global market is inevitable. Global marketing provides immense benefits, which are the topics of discussion in this question. It is however good to note that understanding the global market is not enough, action towards achieving promising entry to the global market will ensure steady increase in benefit reaping. To start with, organizations that pursue global stance stand the chance of increasing their profits since the global market provides a good platform where an organization can gain more customers (Rewards of a global market, 2011, p. 29). For example, it is noted that U.S. has been the leading exporter of farm produce, which makes it highly dependent on such exports to remain profitable. Research has shown that for every ten jobs in U.S., one is purely supported by exports (Rewards of a global market, 2011, p. 1). This means that the country cannot afford to overlook the importance of the global market. Secondly, exploration of the global market enables for discovery of new technologies in the marketplace that would enable faster, efficient and effective processing of goods and/ or services (Rewards of a global market, 2011, p. 27, 29). Such discoveries makes it easier for progress in that market since the customers gain confidence in the services offered by such an organization that has those kind of technologies. Thirdly, with global marketing, it is possible to acquire exclusive market information instead of relying on third parties to get market information about the customers and the market in general within the target region (Rewards of a global market, 2011, p. 27). When such information is acquired, it is possible to make products that cater for all the identified needs of the consumers worldwide instead of making tailor-made products suited for individual persons only (Rewards of a global market, 2011, p. 29). 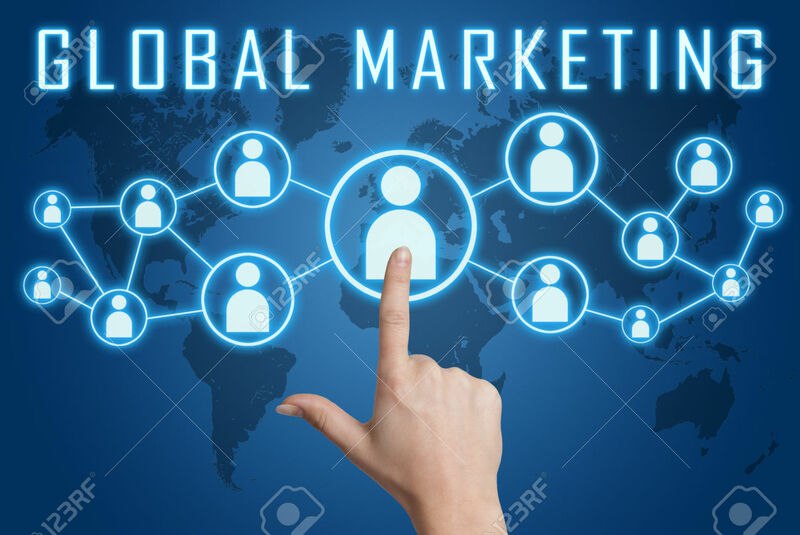 Global marketing is important in that the local (also known as domestic market) in most cases has been saturated with local and international products leading to both a decrease in demand as well as a decrease in prices of the commodities from international competitors. This makes global marketing to come in handy as the next resort for both expansion and profitability. The economic growth of United States shows that 25 % of it comes from export related centers thus the government cannot overlook the benefits of global marketing. According to Jin (2010, p. 3 +), the same external factors that face domestic marketers do face global marketers. There are six identifiable factors, which face the global marketers. First, the availability of natural resources is a major contributor because in regions where there are more natural resources, their availability is relatively cheap as compared to regions with scarce resources (Rewards of a global market, 2011, p. 27, 28) and (Jin, 2010, p. 2). Take for example a country that is rich in a particular type of natural resource that does not have the technology to utilize/ mine these resources. Investing in such a region becomes quite easy with more benefits anticipated for a long time. Secondly, cultural and social stance of the global region being ventured in matters a lot too (Jin, 2010, p. 3) and (Rewards of a global market, 2011, p. 27, 28). Cultural forces include language, traditions, values and customs (Rewards of a global market, 2011, p. 28), attitudes, beliefs and customary business practices (p. 27). Being able to integrate the different cultural forces to a new organization within a region is challenging but also interesting since it helps the locals to have stronger attachment to such an organization hence give more support to its products. Third, economic development plays a major role since it stipulates what the market can afford, has and needs (Rewards of a global market, 2011, p. 27, 28) and (Jin, 2010, p. 2). A marketer would need to be acquainted with this information so as to know what to bring to the market for maximum profitability and the kind of economic challenges that would crop up. Take for example; investing in a country that has a very stable economic development can be quite expensive since even the labor force is expensive unlike investing in an underdeveloped country. Fourth, technological development that may also include infrastructure is essential in movement of products and services to the consumers to the various locations they are in and fast access to the same with minimal delay if any (Rewards of a global market, 2011, p. 27, 29). The modes of performing transactions are also important. For example, if one is to transact a lot of money, it would be unwise to carry cash around hence direct funds transfer would come in handy which is a product of good technological development in the target global region. Fifth, the political structure is important to be understood in the global perspective since marketers will encounter different political huddles which include market control, trade agreements, exchange controls, quotas, tariffs and boycotts (Rewards of a global market, 2011, p. 27, 28) and (Jin, 2010, p. 4). Lastly, global marketers face different demographic challenges since they have to tailor-make products suitable for the young and/ or the old, have an understanding of the purchasing power of the people within their global target regions as well as consider those in urban as well as those in rural areas (Rewards of a global market, 2011, p. 27, 28).